The APC by Schneider Electric UPS Power Strip ensures the safe conversion of an UPS IEC outlet to local outlets, offering convenience and reliability when you need it most. Tested to ensure perfect UPS operation, key features include integrated circuit breaker power switch for additional protection and wall mounting design. Also available is a locking IEC connector to ensure a more secure connection between UPS and Power Strip, preventing accidental disconnect. 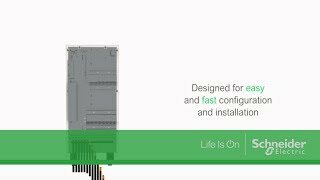 For our home and small office customers APC by Schneider Electric delivers a new category of UPSs designed for the essential power protection needs even in the most unstable power conditions, introducing APC Easy UPS. APC Easy UPS is a versatile UPS developed to handle inconsistent power conditions while also delivering the quality millions of professionals trust around the world.